Following the release of new figures showing an increase in homicides across England and Wales, a powerful new film has been released to encourage those who have tragically lost a loved one in Merseyside to reach out for support. Produced by Merseyside’s Police Commissioner, the short video aims to promote the help and care which is offered by independent charity Families Fighting for Justice to anyone in Merseyside who has suffered a loss through murder, manslaughter or culpable road death. The charity has been commissioned by the Commissioner, Jane Kennedy, as part of her Victim Care Merseyside service to deliver The Hub, a one-stop shop offering guidance, care and peer support for anyone who has been bereaved by homicide. The drop-in centre, based at 6 Anson Street in Liverpool, is the first of its kind in the country and has been running since July 2016. The release of the four-minute film available here https://youtu.be/95RnBHQzRvw follows the publication of official figures by the Office of National Statistics (ONS) which confirms the number of homicides increased by 14% in the year to September 2018, from 649 in 2017 to 739 last year. It features one woman’s emotional account of losing her brother after he was stabbed to death at a party. Lynsey was supported through The Hub by Jean Taylor, who founded Families Fighting for Justice after losing a sister in 1998, a son in 2000 and a daughter in 2004, all at the hands of others. Jean said: “We’ve become like a family because we share the same pain. We understand one another, we help one another, we listen and talk to one another. “Anybody out there, please, please do not suffer in silence. Please do not think that there is no one out there for you. Please do not think you are isolated on your own and do not think for one minute that there is no one that can understand your pain. ‘The Hub’ acts as a gateway for any individual or family who has suffered a loss through homicide to access information and support on a whole range of services including trauma counselling, guidance on the court process and judicial system, support with financial or domestic problems and drug and alcohol addiction. It will also provide increased support for children or young people who have lost someone and may be forgotten at a time when adults are struggling to cope. Merseyside’s Police Commissioner Jane Kennedy said “The anguish and trauma caused to families who lose a loved one through murder and manslaughter stands alone. It cannot be compared to any other crime and for many bereaved families the immediate aftermath of a death is only the beginning of a long and dark road. “Sadly, the crime statistics released yesterday show that even more families are suffering that most devastating of losses. While we can never truly make things right for those bereaved and vulnerable families, it is vital that they receive the highest standard of care and support to help them cope and move forward with their lives as best as they can. 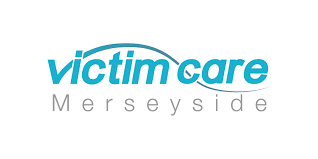 Anyone affected by crime should visit www.VictimCareMerseyside.org for help and advice and to find organisations that can offer support.